The first half of 2017 is almost over, and what crazy six months these were! Devices like the Galaxy S8, its larger brother the Galaxy S8+, the LG G6, HTC's U11, the OnePlus 5, and the Sony Xperia XZ Premium were the most interesting high-profile devices that arrived during the first half of 2017. 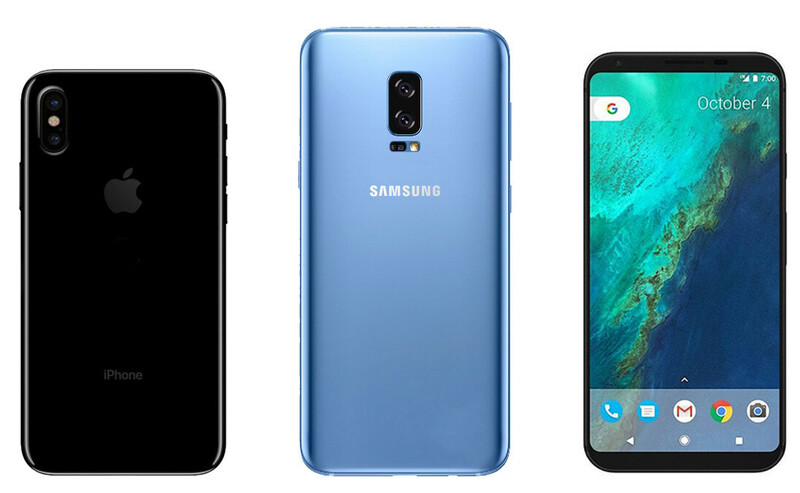 It won't be too far-fetched to say that these marked a paradigm shift for the smartphone market - if not for anything else, those set the tone for the second half of 2017 and early 2018. The common thing between all of these gadgets is a pretty simple one - none of them is inherently bad or flawed. We've reached such a safe point in mobile technology that you can go wrong with no contemporary flagship device as it's quite likely to not only meet but even exceed your expectations. With that in mind, the second half of 2017 is already shaping up to be a pretty exciting one as well! Here are the anticipated devices that will make it interesting. Aside from the G lineup of flagships, LG has another line of high-end devices that cater to power users, and this one would be the V family. Consisting of the LG V10 and V20 so far, we expect it to grow with the LG V30 in the following months. We've heard some pretty exciting things about this phone - it could be LG's first OLED handset but might not feature a secondary ticker display like its predecessors. These are all rumors for now, so do not lose hope. We expect the V30 to become official on August 31, so you have permission to get hyped. You can read more about the LG V30 in our dedicated rumor roundup for the device. Sony is hosting a keynote event on August 30, which is just a day before the second-largest mobile trade show—IFA in Berlin—kicks off. We all know what this means - new flagship phones are likely on the way. Sony traditionally employs a 6-month refresh cycle for its high-end devices and unveils them right before important trade shows like MWC or IFA kick off. While we don't know what the next Sony flagship phone is going to be called, we know that at least one of these could be shown come August 30. The recent info we have on these devices is that one of them could feature a bezel-busting design with а 6-inch 18:9 LCD display manufactured by Japan Display. That's quite the saucy gossip we have here, but we will believe it once it gets corroborated by a couple of other sources. As far as the rest of the specs and features of Sony's upcoming phones are concerned, we can only guess. With all the benefits the Nokia name provides, HMD Global has the rare chance to come up with a winning formula for a true flagship contender. And rightly so - we expect only top-notch hardware to make the cut as well as sleek and elegant design and (hopefully!) a rather competitive pricing that will allow the phone to compete with the likes of the OnePlus 5 and all other contemporary flagshp handsets. While we are not sure when the Nokia 9 is going to be announced, we are quite certain it will take place in the following months. You need to check out our Nokia 9 rumor round-up if you want to be in the know. Will the supply meet the demand this time? Last year, the Pixel and the Pixel XL became the new yardstick for all Android phones to measure up to despite the lacking supply which simply couldn't meet the demand. We hope Google has learned from this mistake and will allow more people to grab its next Pixels. Make no mistake, these are coming and will likely arrive sometime this fall, possibly in the September - October window. So far, the rumor mill puts impressive hardware inside them and we have no reason to think that Google won't endow its phones with high-end internals. A Snapdragon 835 chipset, lots of RAM, an excellent camera, and fluid software will likely be the things that will put the Google Pixel 2 and the Pixel XL 2 inside tech geeks' mouths. Come autumn, we'll know more about these two. Our rumor review for the Pixel 2 and the Pixel XL 2 is chock-full of additional info. Mistakes were made, lessons were learned. Samsung has a lot to prove after last year's Note 7 unpleasant situation. The Galaxy S8 and S8+ proved that the South Korean giant can be a formidable rival when it's hungry and has something to prove, which is making us assume that the Galaxy Note 8 will hijack the momentum and end propel itself to market success. There have been quite some rumors regarding the Note 8 so far, and most of them paint a rather believable picture - the phone will be borrowing Galaxy S8's efficient posh design and, as usual with Samsung, top-line hardware that will be appropriate for Note 8's ambitious aspirations. Add the S Pen on board and you get a device that is will undoubtedly appeal to the productivity-savvy user base. We have an extensive rumor review for the Galaxy Note 8 that you should defnitely check out. You can't say "anticipated phones of H2 2017" and somehow fail to include Apple's upcoming crop of iPhones. Yes, not happening. 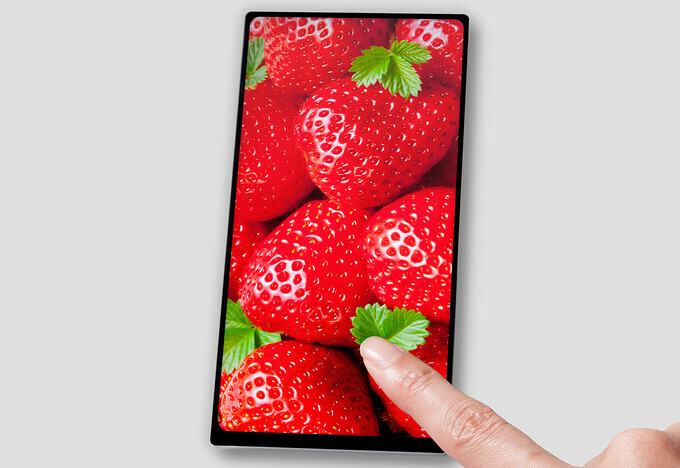 The ton of exciting rumor flying around are also increasing the anticipation -- modern bezel-less design, robust all-glass fronts and backs, stainless steel for the frame, wireless charging, fast charging, 3D face-detecting front cameras, under-glass fingerprint scanner, water resistance, a speedy new A11 chipset, and a sophisticated new main camera package are just scratching the surface of features that Apple's next iPhones are expected to carry. With 2017 being the 10th anniversary of the iPhone, the bread and butter of Apple's revenue, grand things are expected from Tim Cook and his Cupertinian subordinates. As is tradition, we expect Apple to host a grand keynote sometime in the first half of September 2017, where the new iPhones will become the word on everyone's mouth. Get up-to-date with all the rumors about Apple's upcoming smartphones in our dedicated iPhone 7s, iPhone 8 rumor review right here. Whatever anyone says , the most awaited phone in 2017 globally has to be the iPhone 8 /X/ whatever. I'm most excited for nokia 9 and pixel 2. And maybe note 8 too..
Lol, very true. Even the most ardent haters/critics are seriously waiting for it, Lmao. The only phones launch that gets televised on CNN like some breaking news. The phone i'm really expecting from the bottom of my heart is the Surface phone. However, in the absence of that, the iphone 8 is the obvious one i'm eagarly expecting (who isn't anyway). I'm not eagerly expecting the Iphone. I'm waiting to see what the Pixel XL2 will bring. I'm loving my Pixel XL now and I can't wait to see how they improve it. Mostly the design is what I want to see. Enterprise format might keep them alive, but will never become a mainstream alternative. Microsoft should have at least allowed project Astoria to run on their mobile smartphones. That way Microsoft smartphones would have been able to run Android apps. But they killed that project, and their chance to become relevant in mobile. Us Sony fans have had to lower our expectations significantly sadly, but that doesn't mean that I wouldn't love to be surprised. As a fan of the new 18:9/bezel less designs, the fact that Sony may FINALLY do away with the enormous bezels is something that I was not expecting to hear, and am excited to see! That aside, I am most looking forward to what Nokia and Pixel bring to the table. The iphone 8 is the only phone i'm excited to see right now. I think Nokia will be having it's share of attention and, of course, the new Note. But iP is definitely going to be the most anticipated device of the year. In the store which you're not allowed to enter. or online where you can see the phone but can't buy as you don't have a credit card. Here's my list: iPhone 7S, Xperia XZ1(? ), Nokia 9, Pixel XL 2. No love for the v30? Not yet... Because I only focus on monthly security updates and Android updates. Also the specs from V30 still haven't clear yet, so let's see. The LG G6 is definitely giving me some vibes. I would also love to see what Apple and Samsung do, so far there been a lot of talk and rumors. galaxy note 8 for me... I am waiting... can't wait!